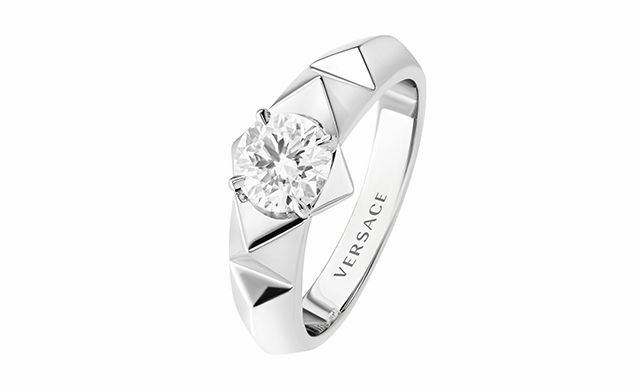 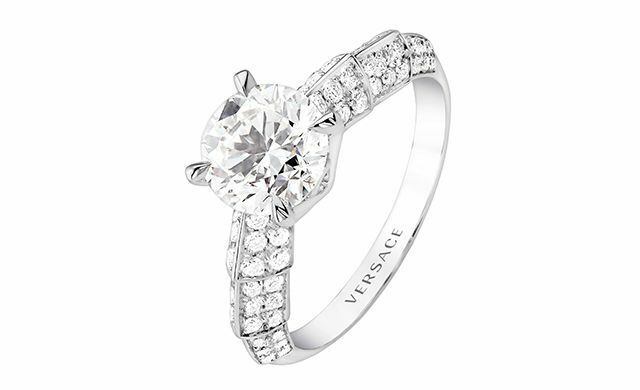 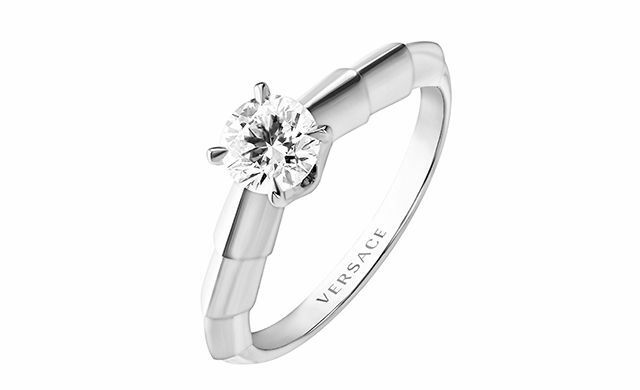 Versace Fine Jewellery has unveiled a new ring collection at the Atelier Versace Show in Paris. 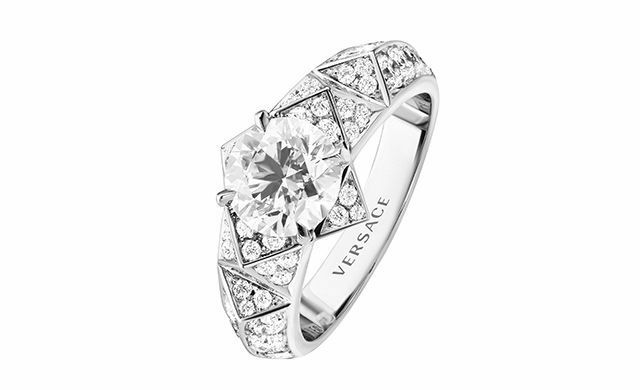 Think classic solitaires, the V Forever collection showcases four different styles that were inspired by Versace gowns and Greek mythology. 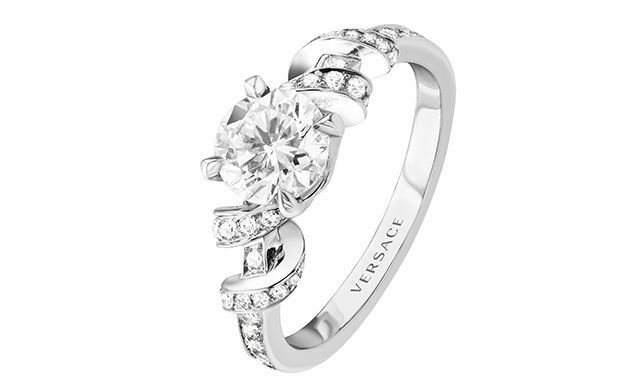 From minimalistic and twirls to ribbons and paved, the look-at-twice rings put the spotlight on the solitaire and highlights its sparkling personality.